Remove auto carpet stains with a professional hot water extractor! To get carpets and upholstery truly clean, you need a professional carpet hot water extractor. Carpet extractors, also called carpet shampooers, are an auto detailing essential, especially for anyone in the business of detailing. These carpet cleaning machines break up tough greasy stains using the power of hot water and eliminate the mess with powerful suction. Our hot water extractors range from relatively lightweight and portable to large, commercial carpet cleaners. There's one to suit your interior detailing needs. 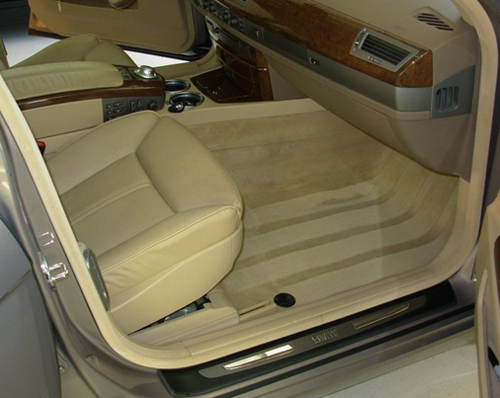 Clean, spot-free carpet, rugs, and upholstery are a sign of a great detailer. Impress your clients and keep them coming back with a professional hot water carpet extractor. You too can get results like this with your own hot water carpet extractor!